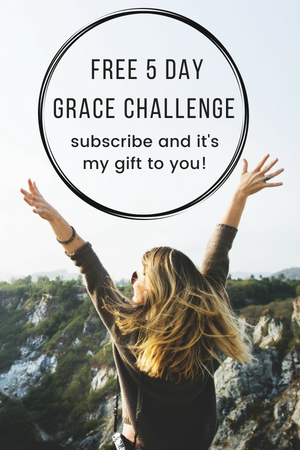 Click on image to get your free grace challenge. 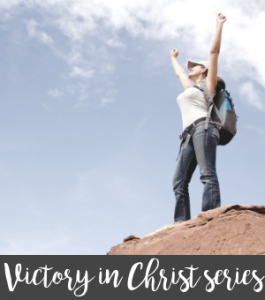 Do you ever have those moments, days, ok, entire weeks, where you just feel so exhausted and completely overwhelmed? Ever get super worked up about an issue that, after a little post-meltdown reflection, seems totally insignificant? Been there? Me too! I’ve been having one of those weeks, a set of weeks actually, where the silliest little things set me off. Like earlier today, I forgot to take the clean dishes out of the dishwasher and threw a dirty spoon into the basket. I flipped. Can you believe it? I mean, hello, reach into the bin, remove offending flatware. Drama over. Right? Sigh. That would be too simple. Instead, I threw a hissy fit. Plain and simple. A big old, crazy-lady hissy fit that would put a teething two-year-old to shame. To shame dear friends. To shame. It wasn’t my brightest moment. So why share it with you? Because after said hissy fit, I began comparing myself to a woman I recently met from West Virginia. She’s perfect. Perfect hair. Perfect makeup. Perfect kids. Perfect house. Perfect life. The woman from West Virginia would never throw a hissy fit. She doesn’t do drama. Or insecurity. She’s too busy being perfect! I eventually realized how silly it was to compare myself to her. I mean, she’s living in a perfection bubble, while I’m in my kitchen just keeping it real. We’re sinners. And sinners need a Savior! That’s why Jesus came. 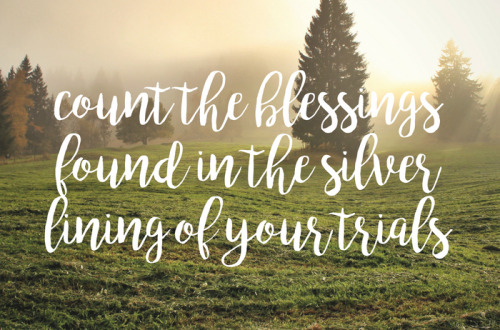 When we place our trust in the one true King, He forgives our imperfections, frees us from our shortcomings and overlooks our hissy fits. I feel very blessed today. I am friends with some really beautiful, flawed ladies. They are real. I can go to them when I have my dishwasher breakdowns and be reminded that God loves me. I am not judged by my perfection but am loved for my imperfections. They extend grace. Offer prayer support. And we are real with each other. Plus, they aren’t afraid to tell it like it is. Flawed friends. Good old-fashioned hissy fits. Imperfect living. Dirty dishes. A loving husband. Open Bible. And Jesus. If you ask me, that’s way better than living in a perfection bubble. Please don’t get stuck living life like the woman from West Virginia, trapped in her lonely perfection bubble. Embrace imperfection. Be real with the people that matter most. Be real with yourself. Be real with God. Offer grace. Extend forgiveness. And finally, to the woman from West Virginia, grant yourself a little grace today. And please schedule time for a good old-fashioned hissy fit. You deserve it! Have a week filled with beautiful, flawed moments! Ever feel like your too busy to get into God's Word? 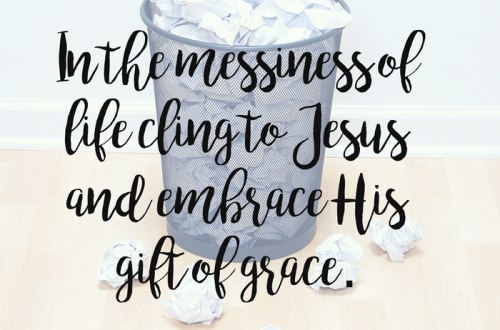 Get my FREE 5-day grace challenge, plus FREE Bible study worksheets and Scripture memorization cards, plus a bonus art printable to help you glorify Jesus in the middle of your busy, beautiful life! No spam in food or email form, ever. Promise! Cupcakes, coffee + Jesus. 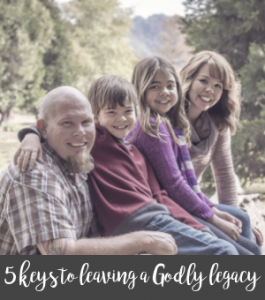 Radio personality, writer + soul encourager living to glorify Him. Radio personality, author and soul encourager who loves Jesus, coffee + cupcakes. Showered in His grace daily. 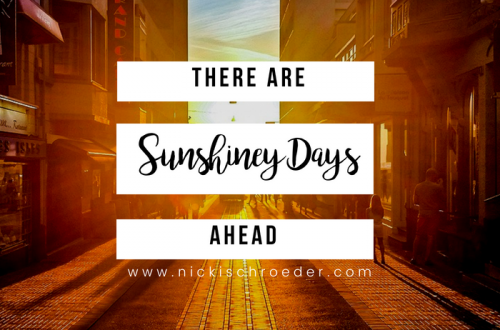 © 2019 Nicki Schroeder. All Rights Reserved. Privacy.